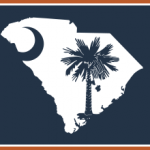 In our commitment to expand the reach of Lean practices, SCMEP coordinates the South Carolina Lean Alliance (SCLA). The SCLA is a powerful resource, using a knowledge-sharing approach that decreases your inefficiencies and increases your bottom line. Established in 2002, the SCLA is a membership-based alliance that works together to expand access to and understanding of Lean principles. By using an effective platform for discussion and a strong network of resources, members help each other in their Lean manufacturing journeys. All chapters host monthly meetings at member facilities to provide benchmarking opportunities and learn how to better incorporate improvement methodologies. Events consist of facility presentations, factory tours, and open discussions to further highlight successes and opportunities. View a complete list of SCLA’s members here. Manufacturing executives worldwide are utilizing Toyota Kata techniques to address process, people and communication issues. This day-long course will provide a forum for sharing first-hand experiences and lessons learned from on-the-job practice of the Improvement Kata and Coaching Kata patterns. Master Toyota Kata coach and lean instructor Brandon Brown will facilitate. Brown has 25 years of continuous improvement experience and has been a keynote speaker at Kata summits around the world. Tuesday, Sept. 11th, 9 a.m. Only 150 seats available. Fore more information and to register, click here. If you would like additional information or to apply for membership, please contact Ed Young at LeanAlliance@scmep.org.